There has been a plethora of research in the area of knowledge portals, knowledge warehouses, ontologies, ontology creation and mapping, as well as the automatic creation and mapping of ontologies. While research exists in each respective area there is a lack of conceptual models that will integrate ontologies as a tool for disparate data source integration into knowledge portals or enterprise knowledge warehouses. The purpose of this work is to discuss different tools that have been developed in academic research and provide a conceptual model of how to implement these tools in relation to knowledge portals and warehouses. A proliferation of Information Systems has created excessive amounts of data in organizations. Unfortunately, there are many different types of systems that are in proprietary formats or have incompatible schemas and data types, resulting in a multitude of disparate date sources in organizations. This has caused an issue that plagues researchers and organizations – integration of heterogeneous data sources (Kaza & Chen, 2008). Enterprise knowledge warehouses (EKW) and knowledge portals (KP) that fuse knowledge from multiple sources suffer from the same integration issues. Ontologies may be used to support integration (Narock, Yoon, Merka, & Szabo, 2010). Ontologies may be employed as the backbone to assist in the development and maintenance of knowledge portals (Staab, 2001). Manually creating and mapping ontologies is burdensome and monotonous. This manual process also requires the time and experience of domain experts which is difficult to procure. Further, this manual work is error prone due. There has been promising research in automatically creating and mapping ontologies (Doan et al., 2003; Kaza & Chen, 2008) which is the most viable direction for solving integration issues. Another viable alternative that often works with ontologies to integrate heterogeneous data and systems is multi-agent systems. Agents can be mediators between heterogeneous data sources, providing means to interoperate using ontologies for describing the data contained in the sources, and communicating with each other using a common agent communication language. Such multi-agent systems have been applied to knowledge management (Yoon, Broome, Singh, & Guimaraes, 2005) and have gained acceptance when integrating disparate data (Vizacaino, Soto, Portillo-Rodrigues, & Piattini, 2007). Prior research exists in knowledge portals, ontologies, and multi-agent systems (Smith, 2004); however, there are few conceptual models that attempt to integrate these research areas. Also, there has been little research in employing available automated methods to assist in ontological-based data integration. 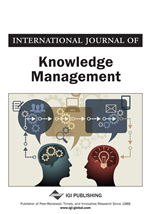 A research issue is how to use ontologies and the existing automatic mapping and creation methods to integrate external sources of knowledge with internal knowledge portals. The purpose of this paper is to fill a gap in the literature by providing a conceptual framework which incorporates the two key technologies: ontology and multi-agent systems. The conceptual framework is designed to integrate internal and external knowledge sources to respond to user queries. Applying the key technologies on multiple levels, the framework will first create ontologies for external sources using automatic ontology mapping methods and second map those ontologies to an internal global ontology. The organization of this paper is as follows. First, background information will be provided. Second, a literature review on existing methods for automatic ontology creation and mapping will be discussed. Followed is our proposed conceptual architecture for utilizing ontologies to integrate data sources. This will include a proposed research methodology and finally conclusions and future research directions will be presented.